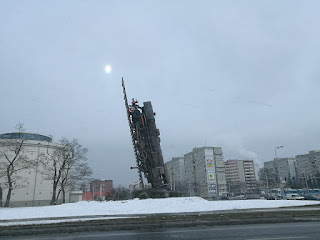 The Poland trip kept dragging forever and it went into an infinite loop of one approval after the other for what seemed to me like a trivial amount of money for a company of this size - in short the delay introduced in the bureaucracy was more than what I would need to plan a round trip around the world. So in this whole process, Ryan Air which is the cheapest airline to fly to Europe doubled in price and hotels in Wroclaw started showing a 'Sold Out' sign on the intranet site - something I never thought I would live to see. I mean who would go to this small town in Poland in peak winter, but apparently people are and clearly my worldly knowledge is pretty poor. Anyways so after much adieu, I booked a super expensive flight ticket on the cheap airline. Then it was the time to book the hotel. After careful research on tripadvisor and detailed look at the traveller photos, I settled on two hotels - one for first two days and one for later, the second being the more cozy one. The flight sucked as always, the floor beneath the seat was dirty and obviously no one bothered to attend after pressing the 'attendant' button. 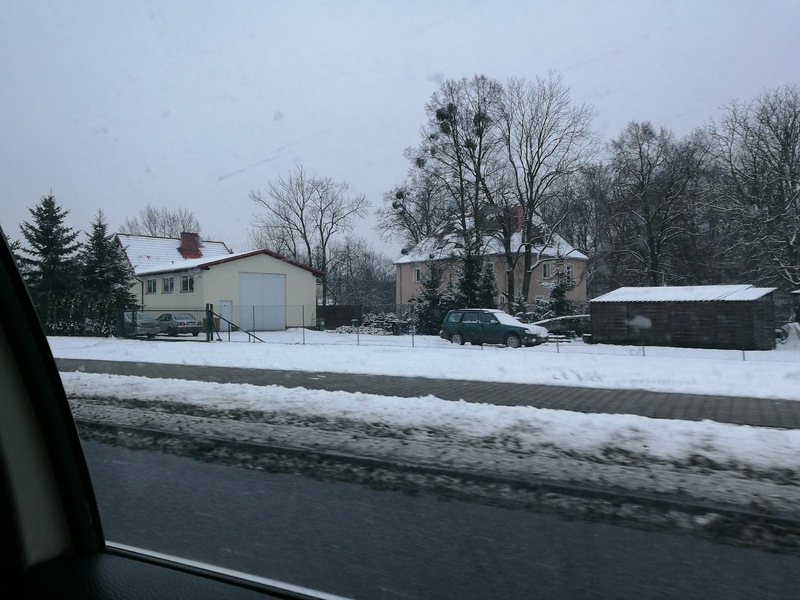 When we got closer to Wroclaw, the view from the flight window was mesmerising - vast expanse of the land and the once green farms now covered with thick white snow, the brown roofs of the houses blending with the white colour of the ground, the trees mostly withered away trying to hold on to some snow instead of green leaves. Somewhere a kid had spend a good part of the weekend building a snowman. All this view was interrupted by a sudden thud on the tarmac followed by the annoying tune that Ryan Air play when they land on time. 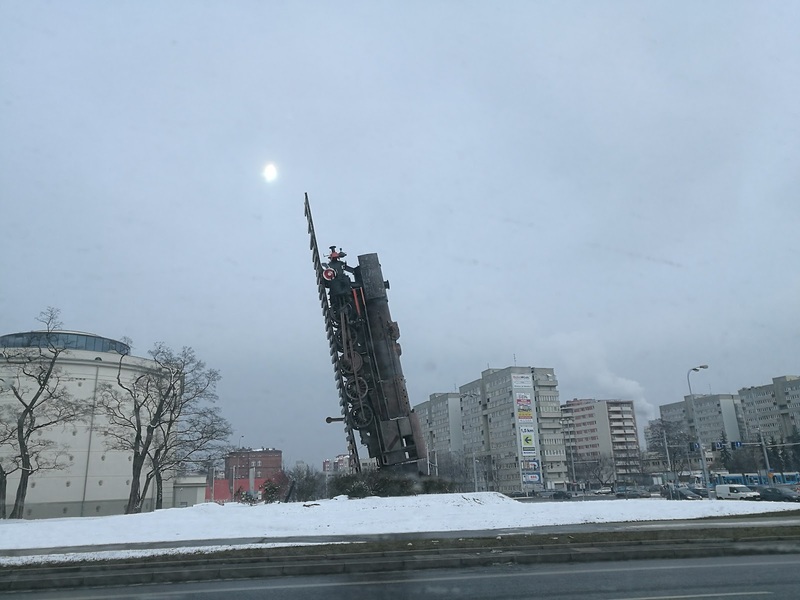 I was just excited that I was in Wroclaw. Almost everyone who got out of the plane were EU citizens including some British citizens who are counting their days in the EU. Then they were some Americans, who, like Indians, are everywhere and then there was me. Brown skin and Indian passport - so I knew what was coming even though I secretly hoped that my precedents and fellow citizens who had dared to step foot into this country before me would have made my life easier. When I reached the immigration office I decided to act tough. For a good 10 seconds both of us kept staring at each other and after carefully inspecting my face he said hello and promptly followed the first question "what is the purpose of your visit". "I am here for work". He raised his eyebrow in suspicion. "I work in London and here for few days". As soon as he heard London I was no longer a dubious person trying to sneak my way into this country. "Is this your first visit to Poland?". "Yes". Then he stamped my passport but not before he checked every earlier stamp on every page on my passport. I picked up my luggage and stepped out to see the taxi driver standing with a board of my name - this was probably the first time anyone was receiving me at an airport with a name board. Wroclaw is pronounced something like 'vrastwaf' is situated on the banks of river Oder. It is also called the city of bridges and is the fourth largest city in Poland. It's a small city when compared to Warsaw or Krakow and the ride from the airport to hotel was fairly small and smooth. 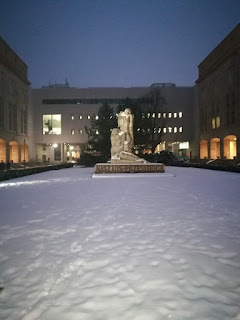 There were remnants from the snow from the earlier weekend. I was looking wide eyes like a small kid, taking pictures of the new scenery outside, somewhat nervous and somewhat excited. While checking into the hotel, I am told that I dont really have the breakfast included and that I had to sign up to Hilton Honors to get the Wifi. I mean how on earth was I to survive without wifi for the next 18 days. Then I decided to use some of my negotiation skills and insisted that my company website showed both access. Soon they realise that my company has forgotten to book it under a corporate account (not a surprise) and then I suddenly have access to a super-super fast WiFi, an executive lounge and also the breakfast. The receptionist then also explain me the spa and massage options. Now at that time I was just glad that I had WiFi to survive my stay, so I made an excuse that I need to get to the office quickly. I checked into my hotel and gobbled up two methi paranthas with mango pickle. I think the person who invented the parantha and the thepla deserves a Nobel prize for Food. It has saved many a souls from going hungry. I zipped to the office and no one at the reception building could really connect me to the contact from the office. Ultimately I somehow got through the building after the usual struggle with the IT infrastructure, I settled in the office. The work day was short and I got lucky as one of my colleagues offered to walk me back home. It's amazing how someone who I probably never thought I would meet helped me to find my way back home. 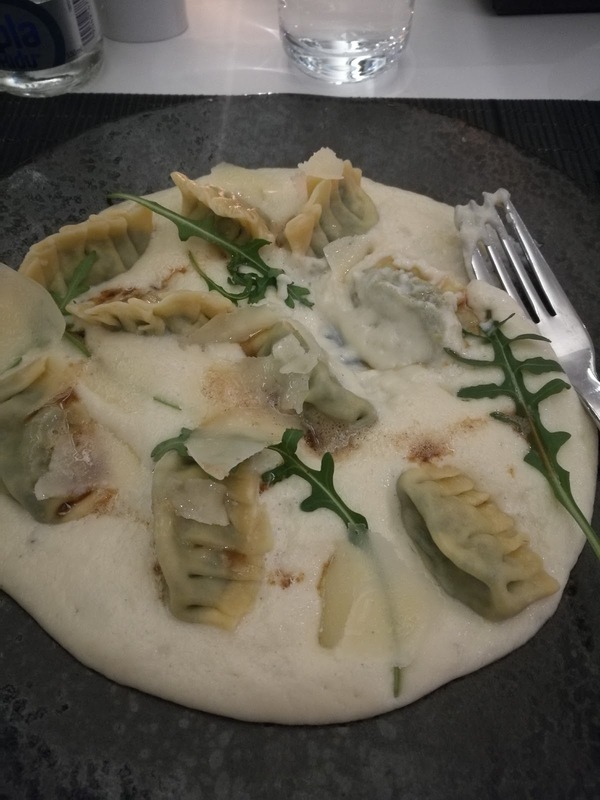 I was too tired to go out and explore the city in freezing cold and I was pleased to find a vegetarian ravioli in the hotel. I relished on my free drink and ate a vegetarian ravioli before slipping into the comfortable bed. Tomorrow is another day !